We believe that women and their families deserve support during the childbirthing experience. We train doulas to bridge the support gap for women and their families in modern birth environments. Our own experiences with childbirth also stretch across the spectrum of birth options. New Beginnings is committed to developing and nurturing quality doulas. This includes a commitment to the client, the community, and the birth team. Education, along with compassion, is the foundation for the New Beginnings program. We encourage our students and doulas to share educational experiences with peers and clients. 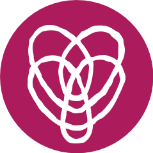 New Beginnings students and certified doulas combine both the heart and the science of being a doula into their work! Question: What do you get when you cross a nurse who is passionate about evidence-based childbirth support and web developer with a serial history of entrepreneurship? One fateful evening, Rachel asked Brent if he could build her a quick website to house a side project she was working on. Two hours on a quick website and www.trainingdoulas.com was born. The curriculum, however, was a combination of years of formal education combined with real world experience.